Need a bit of help here as I’m not sure how to proceed. 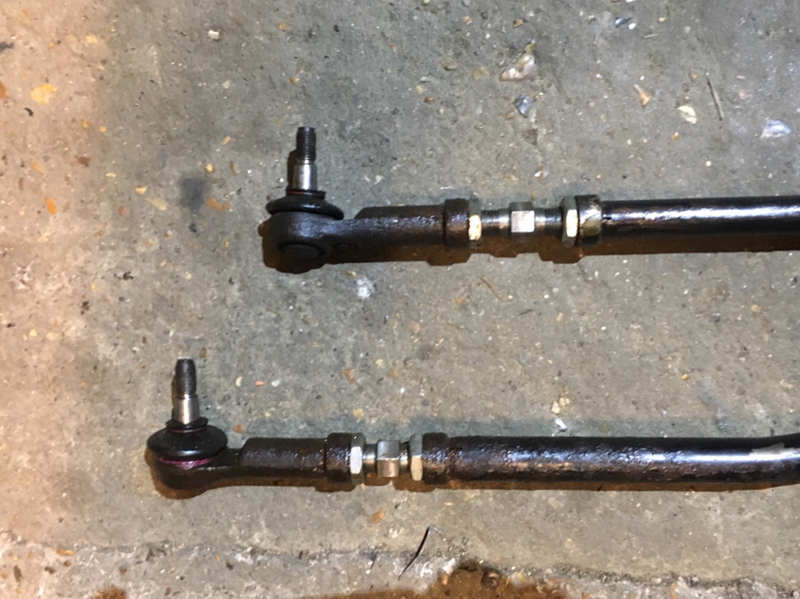 I took the track rods off the Avant today to free them up and fit the adjusters I got a while back from Greg. I measured the gap between the nuts and I’ve rebuilt them the same as they came off but I’m wondering if this is correct or they should be more even. The measurements were 23mm and 39mm with the straight one having the bigger gap. Or should I just set the steering wheel in the middle of its travel and adjust them to suit? I did this a little while back. Didn't take out the whole tie rod, but just this the ends. I measured like you did. Sorry, don't remember the measurements. But as long as your car was steering correctly and handling ok, before, then go with the measurements you took. Then have an alignment. Tip, take a flared wrench to the alignment shop and tell them not to touch the adjusters with vise grips. 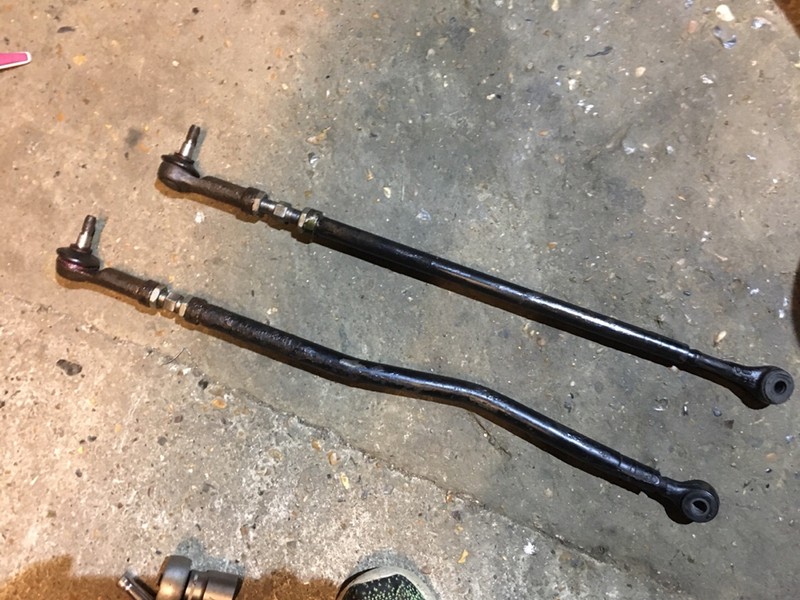 I did similar to you and measured before the distance between tie rod and arm and fitted in the same manner with the new ones. If one side is longer than the other my hunch would be due to the steering being slightly off being fully centred. That’s what I’m thinking, I’ll check the wheel is set straight when the rack is in the middle of it’s travel and work from there. Counted the turns lock to lock and marked the middle with yellow tape. The wheel is now turned a few degrees to the left but when I took the key out the steering lock dropped in so I guess the steering wheel must have been put on wonky. It’s a later type airbag wheel. Just have to work out how to remove and reset an airbag wheel now! I recall there is actually a factory tool for setting the rack in the centre of its stroke. A while ago I did as you did John & set he wheel in the right position, then set the rods broadly correct, then set the geo up. Alex... you motherhubbard... how much is one of those...?